A class refers to a group of students that goes through a course together. All student-generated content such as comments, posts and group pages are only visible inside the class where they were generated. For example, students in Class of 2017 cannot see any of the comments or posts from students in Class of 2018. Note that the course content, such as the modules and course pages, is shared across classes. This means when you make changes to the course content the changes will be visible to all classes. When you create a course on OpenLearning, a default open class is created for you. You can edit this class or create new classes as you need. Open - Anyone in the world can join this class and view this course (MOOC). Requires payment - Students pay a fee to enrol in the course. Requires activation code - Only people with an activation code can enrol and view your course (private). Invite-only - You can specify a list of email addresses of people who can access your course (private). You can only have one open class (MOOC) running at a time, and you can't have an open class and a paid class running at the same time. You can have multiple private classes running at the same time. 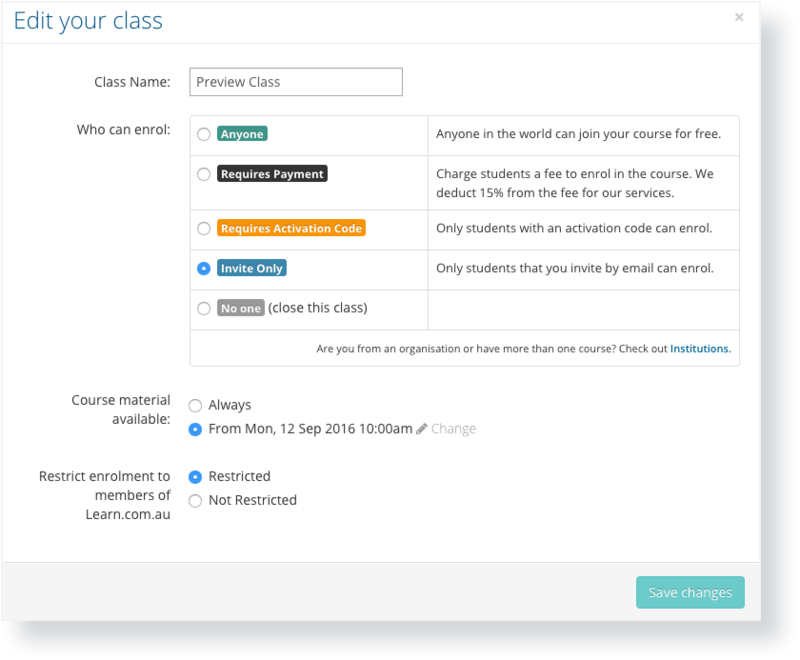 To view and change the classes in your course, go to Course Setup > General and scroll down to the Classes section. Add classes by clicking on the Create a New Class button. Change class settings by clicking on the Change Class link. 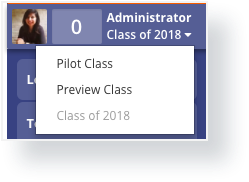 On any course page, click the little triangle next to the class name to get the other classes in the course on the drop-down menu. Click on the class you want to access and voila! How do I merge two classes together? Or, how can I have students from one type of enrolment join the class from another type of enrolment? Paul Batten Hi Paul! We have replied to your e-mail!